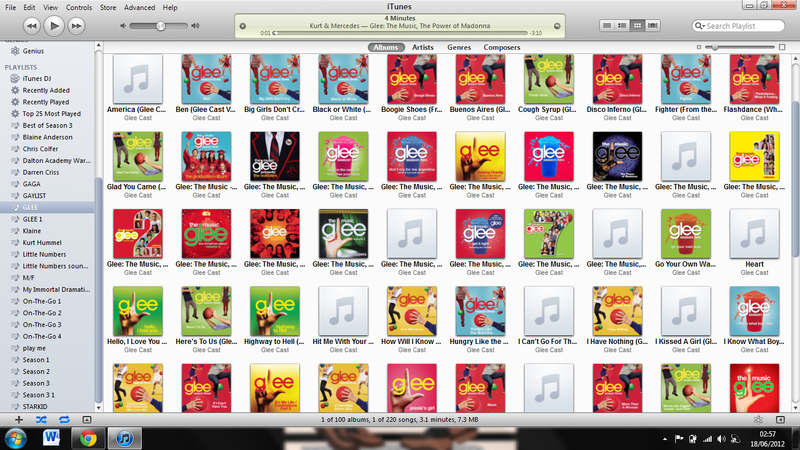 Unlock "Glee: The Graduation Album" on Monday! TV Guide Finale Preview: Glee! It's Graduation Day at Mckinley High! Twitter Spoilers of the week! Cory Monteith and Lea Michele moving in together! Gloria Estefan to appear in 3x22 "Goodbye"! Listen and Download: Songs From 3x18 "Choke"
New 3x19 "Prom-A-Saurus" Stills! +Press Release! The Glee Project Season 2 Promo with Lea Michele! 3x20 / 3x21 "Props/Nationals" Press Release! New 3x19 and 3x21 Set Pictures!